Add up the 12 things that make you different and your unique brilliance will be revealed. I drew this graphic recording for a client over a cup of tea one afternoon. 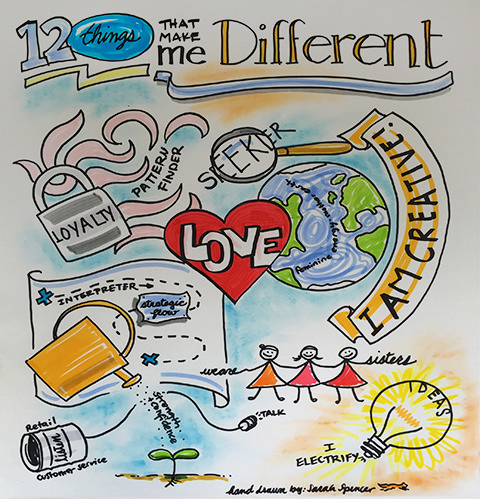 What are the 12 Things that make you different?